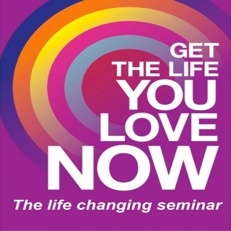 Life You Love NOW seminars | Get The Life You Love NOW! Get The Life You Love NOW! Amazing, life changing, Life You Love Seminar Series – with Phil Parker. Get online access to this seminar series which teaches the skills we were never taught at school – how to change how you respond to stress, conflict, relationships and other tricky life events, so you can have a life you love. Sign up to our newsletter for FREE useful tools and techniques. We'll send the first 2 FREE programmes on 'USING YOUR MIND BODY CONNECTION' & 'DEEP RELAXATION' right now. Just select the areas you are interested in and press send.